EMF Radiation Detection Meter – Making invisible dangers, visible. 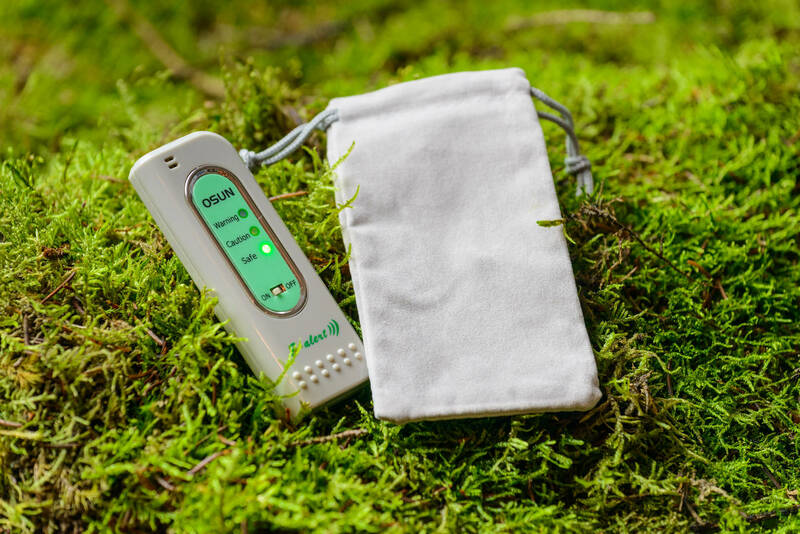 Our EMF Meter clearly and easily identifies areas of high EMF radiation and can help you adjust your surroundings to limit your exposure to this. Simple and easy to use, turn it on and observe the lights. Once you know the dangerous areas of your house or office you can move things around to ensure you are protected. > Red = presence of a strong dangerous field. Pocket friendly and very portable. Long Battery life – uses standard watch batteries. Includes a soft carry case. Did you know that every electrical device emits an electro-magnetic field? This field is a form of radiation and this radiation can have an impact on your health. Unfortunately for us these fields are invisible and very few of us can detect them physiologically. Our EMF meter makes detecting these fields as easy as looking at a traffic light. Protecting you and your family from invisible everyday dangers. Stay healthy whilst staying connected. It’s a fact that we are all becoming more and more reliable upon electronic devices in the course of our everyday lives, whether this is your computer at work, your teenagers mobile phone, your partners tablet or your home laptop. All of these devices emit radio frequency signals either Wifi, 4g or a simple mobile phone signal. These signals have long been thought to be harmful to our health and it seems that more and more often we hear of major health issues being attributed to our dependence on these wireless devices. In the past the only way to insulate yourself from this danger would be to turn off your devices and only use them sparingly. Now whilst this remains the best way of protecting yourself it isn’t always practical, SaferWave is the balance between staying healthy and staying connected and removes your exposure to these harmful signals by up to 98%. Easy to use – simply attach to your device and your instantly protected. Holographic Matrix’s subtly and finely alter your devices radio-frequency signals making them less harsh and less damaging therefore less harmful. Unobtrusive – and no extra weight or size to your device- you’ll forget you even have it installed. 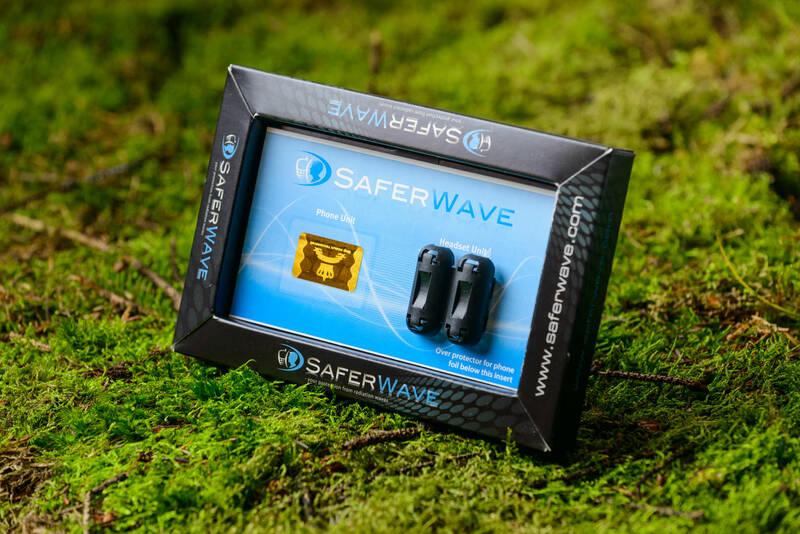 The Saferwave products utilise a Holographic Matrix to gently modify your devices radio frequency signals and reduce their harm whilst keeping you connected. We are all becoming increasingly dependent on our mobile phones, they now no longer only make calls and send messages but we can use them to access the Internet, send emails, share pictures or listen to music. Our Saferwave Mobile unit maybe small enough to stick almost completely flat to a back of a phone but it packs a big punch. Its holographic Matrix subtly modifies your phone, 4g and wifi signals, making them less harsh and less damaging whilst retaining your call quality and connectivity. We would always recommend going hands free when making calls as this keeps the source of any harmful radiation away from your head. Going hands free and listening to music has just become even safer as our Saferwave Mobile Ferrite manages any electric fields and signals generated by your headphones and alters these into a safer form. When ordering the SaferWave phone unit you will receive both the matrix foil sticker for your phone and ferrite casing for your headphones.